Proper nutrition is vital in ensuring you get the most out of your workouts at CrossFit SAC. There is a lot of conflicting information out there and we want to help you make the best choices that are right for you and your fitness goals. How Solid is Your Base? Courtesy of the CrossFit Journal. "What is Fitness?" Proper nutrition is the foundation for any fitness program. 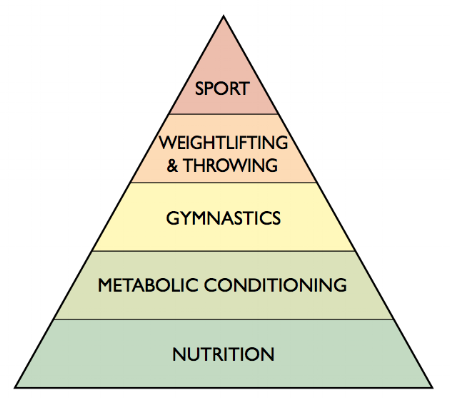 At CrossFit SAC, we want you to get the most out of your workouts, which means discussing what you eat. You cannot out train a bad diet. Over a dozen menu items to choose from and three protein portions to choose from. These meals are delivered fresh to your door! There is more to health than just body weight. The InBody 270 body composition scanner measures lean muscle mass, body fat percentage and basal metabolic rate.